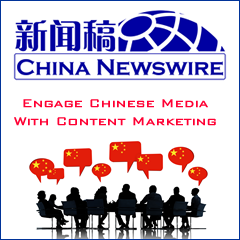 China Mobile has unveiled the results for its third-phase TD-SCDMA network tender which covers 200 Chinese cities. According to the results, ZTE, Huawei, and Datang Mobile gain a total market share of 72%, with ZTE gaining 34%, Huawei gaining 22% and Datang Mobile, 16%; and the remaining five companies, including New Postcom, FiberHome, Nokia Siemens Networks, Ericsson, and Potevio, gain market shares of about 5% to 6% each. In March 2009, China Mobile launched its third-phase TD-SCDMA network tender that covers 200 Chinese cities, including Foshan, Wuxi, and Wenzhou. According to its former plan, this tender will involve purchase of 39,000 wireless base stations and total value of over CNY8.6 billion. On the completion of these base stations, China Mobile's TD-SCDMA network is expected to cover 70% of the areas in China. However, according to reports in local media, the actual scale of this third-phase tender is larger than the original plan and the value involved is nearly double.